Australian maritime officials on Friday identified a pair of old shipwrecks that were found during the search for missing Malaysia Airlines Flight 370. The Western Australian Museum said in a report Friday the shipwreck sites were part of the historic Roaring 40s trade route -- on which ships carried coal to and from Europe, North America, Australia, New Zealand, India, Southeast Asia, China and Japan during the 1800s. "We used a combination of all of the data ... historical research and maritime archaeological analyses to determine both wrecks were, in fact, 19th Century merchant sailing ships -- one wooden and one iron -- both carrying coal," Dr. Ross Anderson, the museum's curator of maritime archaeology, said. None of the wooden ship's hull structure or loose timbers were seen at the site, as they've entirely disintegrated after many decades under immense water pressure. Only the remains of the vessel's coal cargo and metal objects -- like fastenings, anchors and fittings -- were found. It's believed to be the brig W Gordon, which disappeared in 1877, or the barque Magdala, lost in 1882. 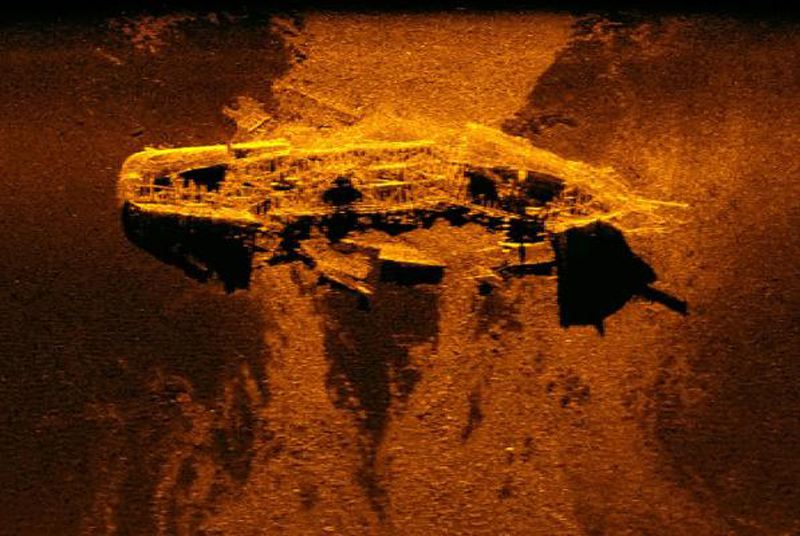 The wreck of the other ship was more intact, with sonar and video images revealing it was an iron vessel with at least two decks. Experts believe it's the barque West Ridge, which was lost in 1883 with a crew of 28 while sailing from England to India.